Just the Right Size: How to Use a Pressure Cooker: Risotto in 10 Minutes! 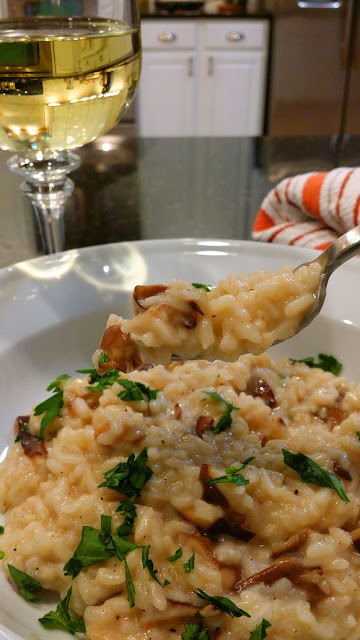 How to Use a Pressure Cooker: Risotto in 10 Minutes! You know, every time I discover an easier technique for doing something, I ask myself, "Why have I been doing it the hard way for all this time?" Such is the case for pressure cooker risotto. 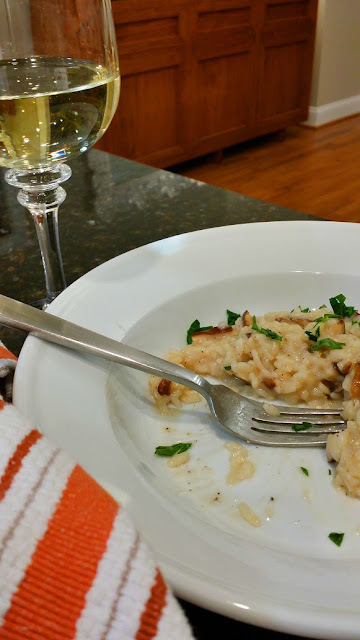 I was convinced, I SWORE the only way you could have creamy, tender risotto that's full of flavor, was to cook it over the stove-top and ladle-stir, ladle-stir, ladle-stir until your feet were tired from standing and your stomach was growling. So, risotto had become one of those "special dishes" that I made very rarely, and that is sad because I love it so, so much. I tried a technique a long time ago that required me to bake the risotto in the oven and at the end, it made me want to cry. So, I've spied this technique from Lorna Sass' Pressure Perfect for years and never got around to it. I was convinced that it was going to be a flop; risotto is an art form! But I was wrong. SO. WRONG. 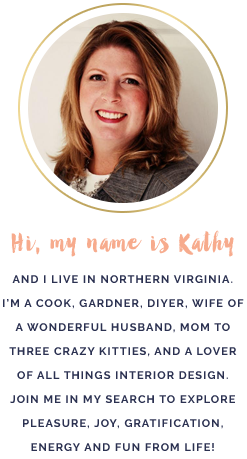 Friends, lovers, Maytag repairmen, I give you perfect, creamy, delicious risotto IN 10 MINUTES! 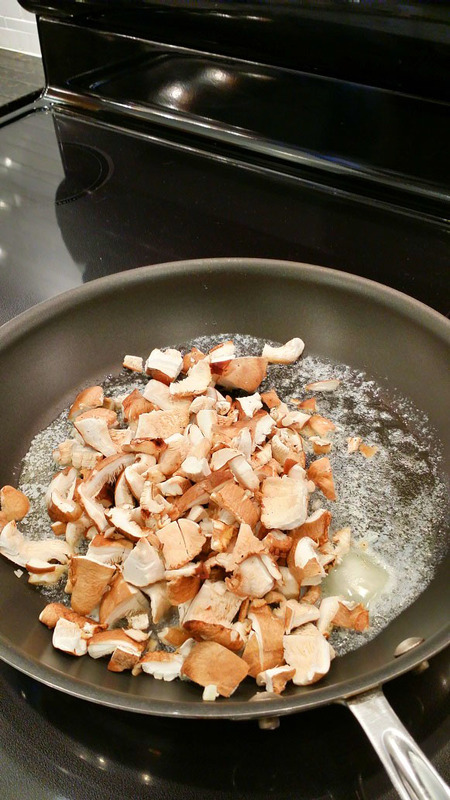 Melt 2 tablespoons of the butter in a skillet over medium-high heat and saute the mushrooms until they start to release their liquid, about 10 minutes. Remove from heat and set aside. Melt the remaining 2 tablespoons of butter in your pressure cooker over med-high heat and saute the shallot till soft, about 3-4 minutes, stirring regularly. Add minced garlic and cook for 1 more minute. Add arborio rice to shallot mixture and cook over high heat for 1-3 minutes, stirring continually, making sure all the rice is coated in butter and none is sticking to the sides or bottom. Add wine to rice mixture (it will sputtter when added) and stir continually until all the wine is absorbed. Add 3 1/2 cups of the chicken broth and the cooked mushrooms to the rice mixture. 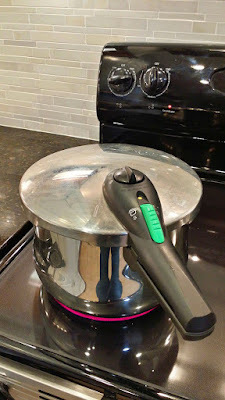 Attach the lid to your pressure cooker, seal, and bring to pressure over high heat. Once pressurized, turn heat to low and cook for 5 minutes. 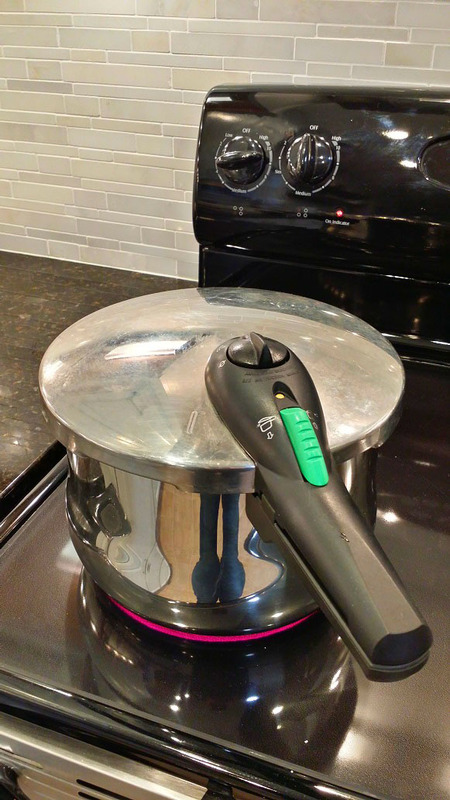 After 5 minutes, remove pressure cooker from the heating element and perform a fast pressure release. After depressurized, remove pressure cooker lid (opening away from you) and return the pressure cooker pot to the heating element. 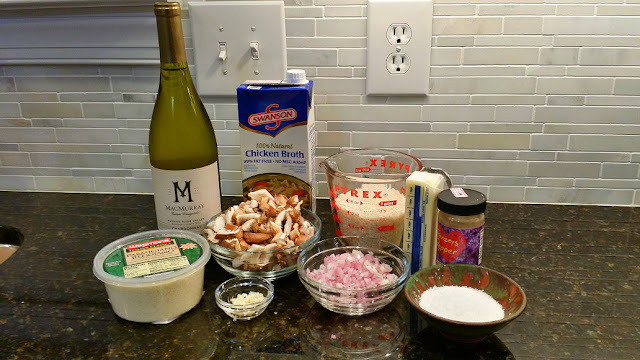 The risotto will look soupy at this point. Cook over high heat, stirring continually, until all the liquid is absorbed, about 3 minutes. If the risotto needs more time to cook to your liking, add the remaining 1/2 cup of chicken broth and continue to cook/stir until done. I like mine a little creamier than al dente. When done, remove pot from heating element, add Parmesan cheese, salt and pepper to taste, and stir till mixed well. Garnish with parsley and additional grated Parmesan if desired. Pour yourself a glass of wine and dig in!